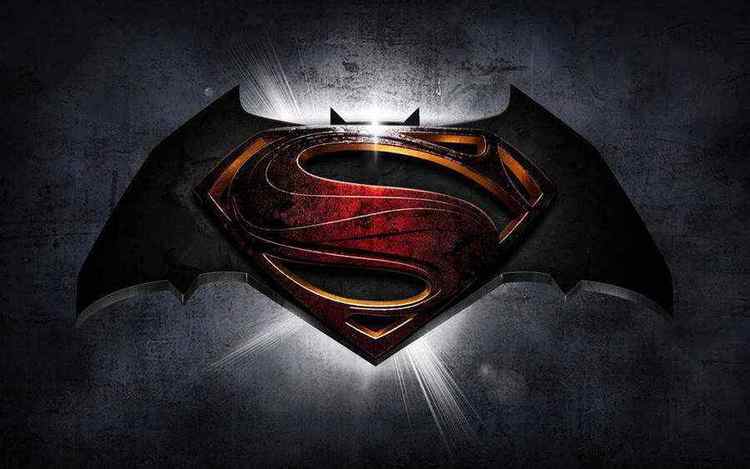 Slated for release in 2016, the upcoming Batman v Superman: Dawn of Justice movie has DC universe fans worldwide whipped up in a frenzy. There’s a lot of talk already on who the different characters are that will appear, especially since the title is a dead giveaway to the “Justice League”. While we already have a good idea on who the heroes are that will appear, the only clue so far with regards to the villain has only been Lex Luthor. However it looks like good old baldy isn’t the only baddie in the film! Lation Review reports three new villains that will join the movie. Check them out below! 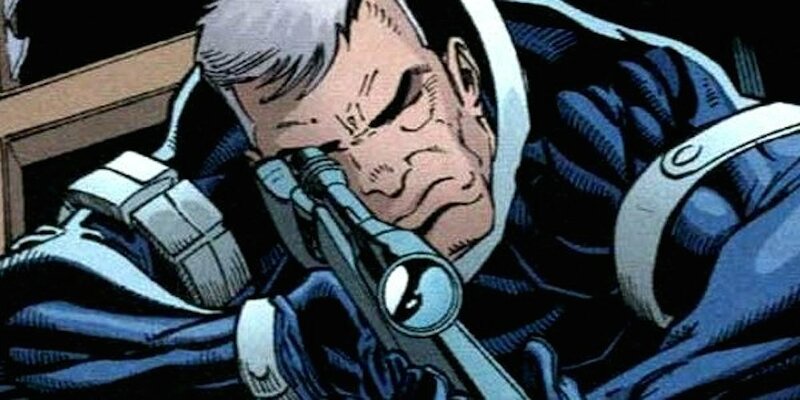 While not as famous as Batman’s other enemies like the Riddler, Penguin, and the Joker, this villain is just as deadly, cruel, and crazy. Zsazs is a serial killer who primarily uses a knife and those markings you see on his body is actually a tally mark for himself for all the victims he’s killed (wild). 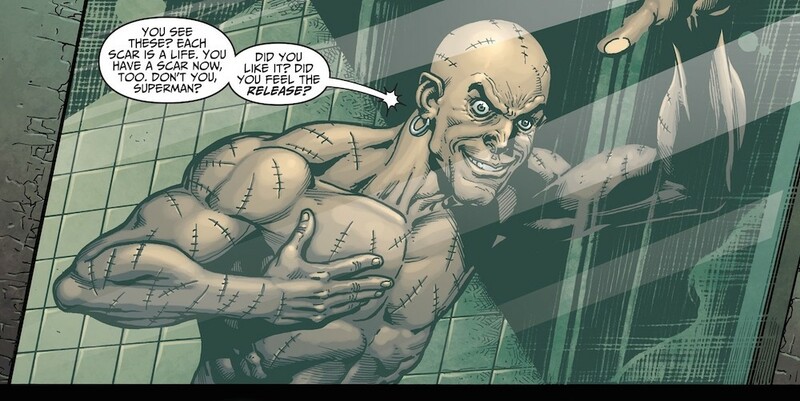 In the comics, Zsasz was initially the successful head of a global company but he lost it all to gambling (he lost everything to the Penguin) and other vices after he became deeply depressed when his parents died in a boating accident. He was about to commit suicide but he was suddenly attacked by a homeless man with a knife. He was able to grab it from the robber and in a fit of rage he stabbed the man to death multiple times. He then dedicated himself to “freeing” others from “life”. Totally insane, lethal, and evil. He’s like the Joker without the comedy and the flair. 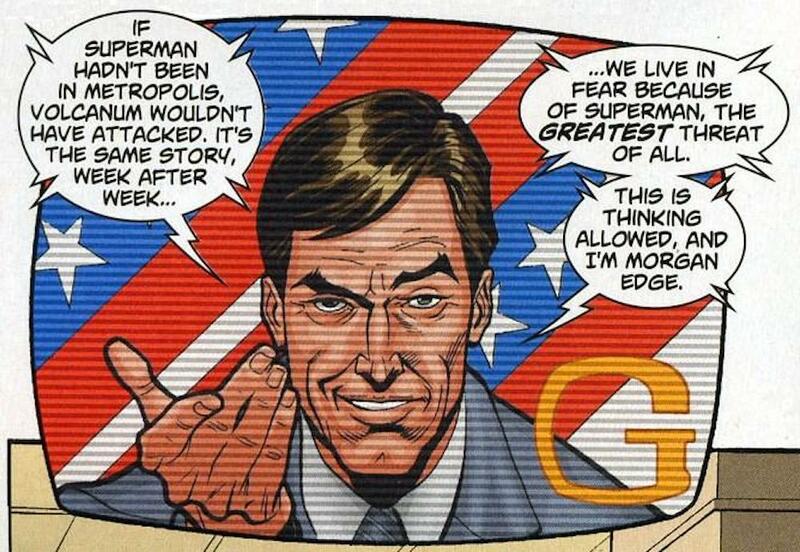 Morgan Edge was the president of the Galaxy Broadcasting System, a giant media corporation which evnetually bought the Daily Planet. On the surface he was a successful businessman but he was actually a leader of the mob Intergang. He was incredibly rich and used his wealth and political influence to vilify the Man of Steel. One of the world’s best assassins with a long list of high profile kills around the globe. It’s said that he actually trained Bruce with some techniques but we’re not sure yet if it was during his time at the League of Assassins with Ra’s al Ghul. Other than three, it’s also pretty much confirmed that Amanda Waller will also be in the film. Things are shaping up quite nicely for Batman v Superman: Dawn of Justice! Can’t wait for 2016!